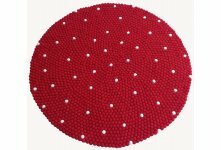 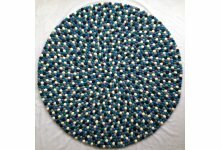 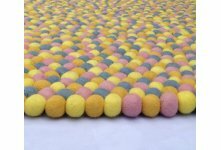 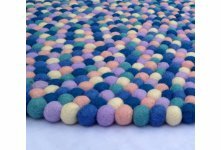 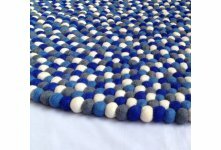 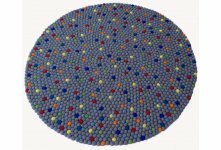 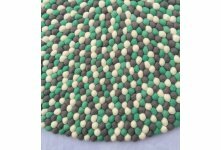 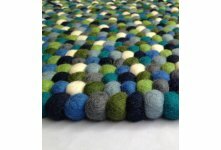 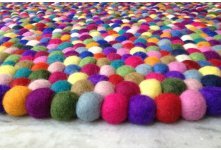 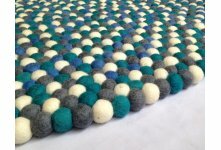 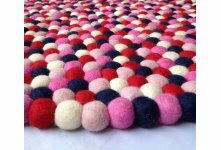 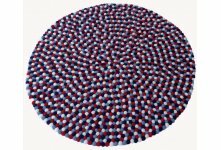 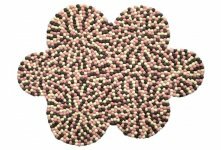 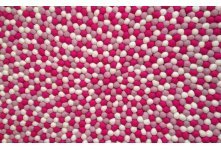 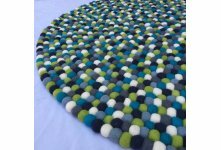 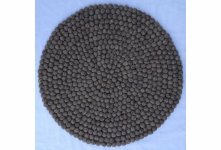 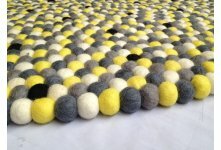 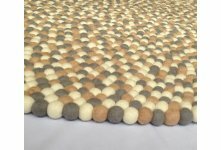 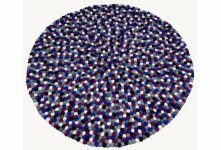 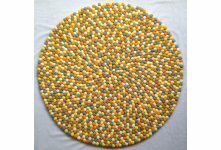 You can order the felt ball rug in any size and color combination. 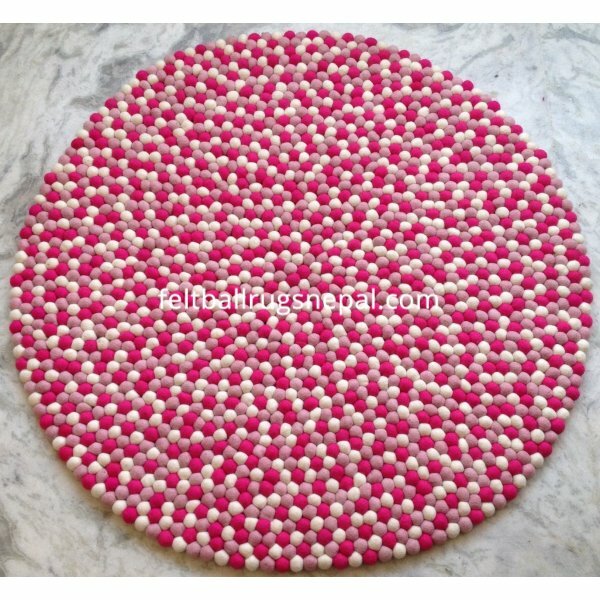 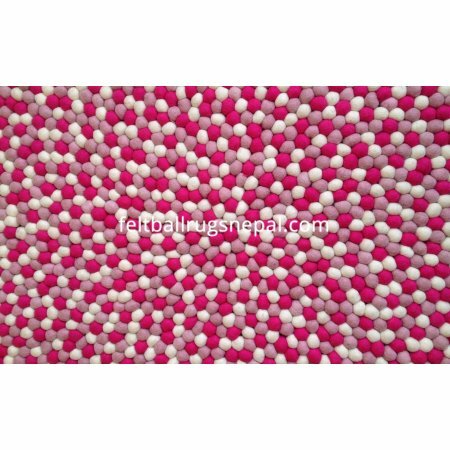 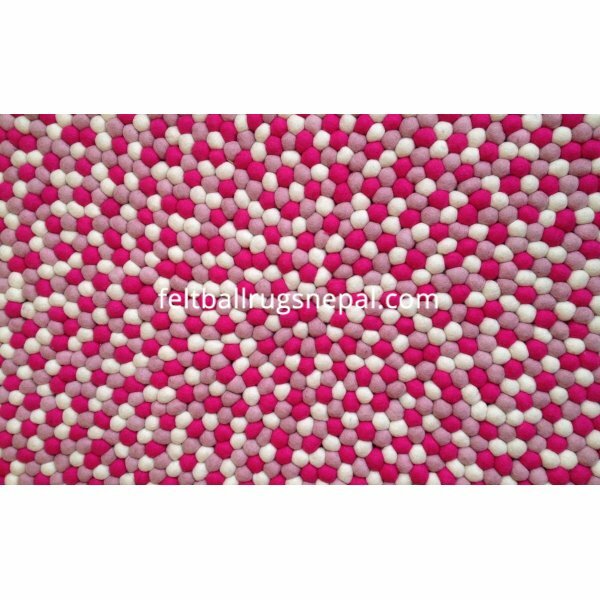 Here you can see the combination of three colors: Hot pink,white and baby pink. 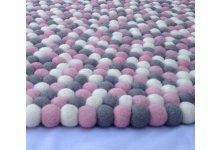 It is made from pure sheep wool imported from New Zealand. 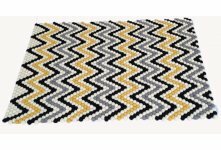 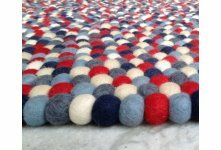 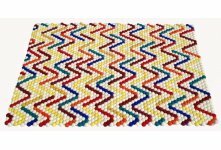 To make the rug durable our women workers neatly stitch together each 2 cm (20mm) Merino wool ball with thick nylon thread. 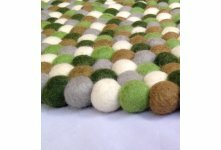 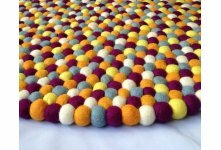 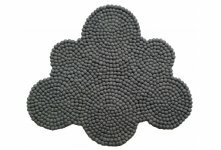 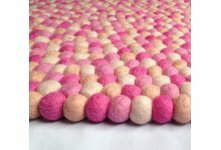 The felt ball rug is ideal to spark up your children's room. 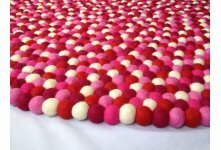 It's a bright center piece in any room.